The „Couriers” start list fills up quickly, intensely and interestingly. Fast, very fast, because of the planned 24 places for teams from around the world, 16 are already occupied. Intensely, because the teams that once „ruled” here, return with strong cycling nations. Interestingly, because in addition to the veterans of this race, what in the case of youth riders is at least a controversial claim, new teams, new names, new sponsors appear. With great joy it is worth noting that the winners from the previous year – Cycling Team FRIULI are back on the couriers routes. As a reminder, it was the cyclist of this team, that debuted on KWK in 2017, Alessandro Pessot, who won the first stage and general classification and thanks to him, for the first time in over 40 years of the race’s history, the yellow jersey of the leader with the LOTTO logo, went to Northern Italy . Northern, because the region of Friuli and the headquarters of this well-deserved team, are located in Udine, on Via Trento. 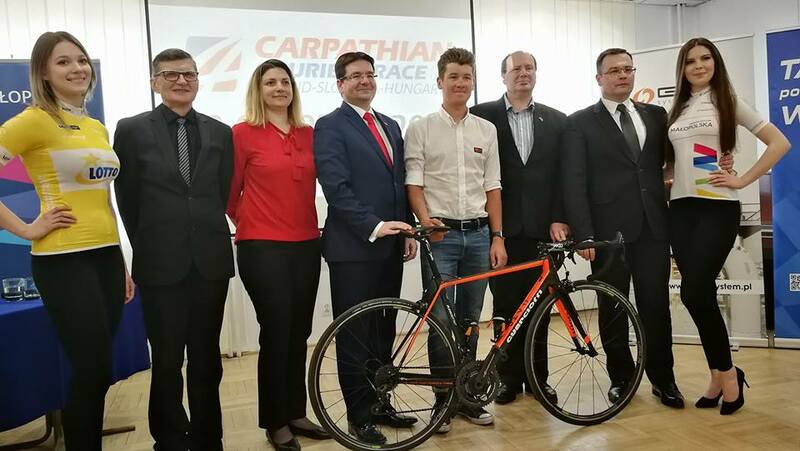 Of course, according to the cycling tradition, not always at the Carpathian cultivated, Cycling Team FRIULI will start with the first starting numbers from 1 to 5. We support everyone and we wish them all the best, but for this particular nation for the world of cycling, we have exceptionally hot feelings – for fighting, for joy, for cycling temperament. And we hope our Italian brothers will not ask too long during the race: dov’e la Vittoria, that is: where the victory is?